Thus starts Joshua Foust’s riveting and thoughtful account of the U.S. military’s engagement in Afghanistan in 2009 and 2010. In early 2009, Foust, a long-time Afghan-affairs aficionado and respected blogger, got his first chance to go to the country he had been fascinated with for so long. He brought to the trip not just a wealth of knowledge about the country, but also an intelligence and sensitivity that informed all his writings during and after the trip. 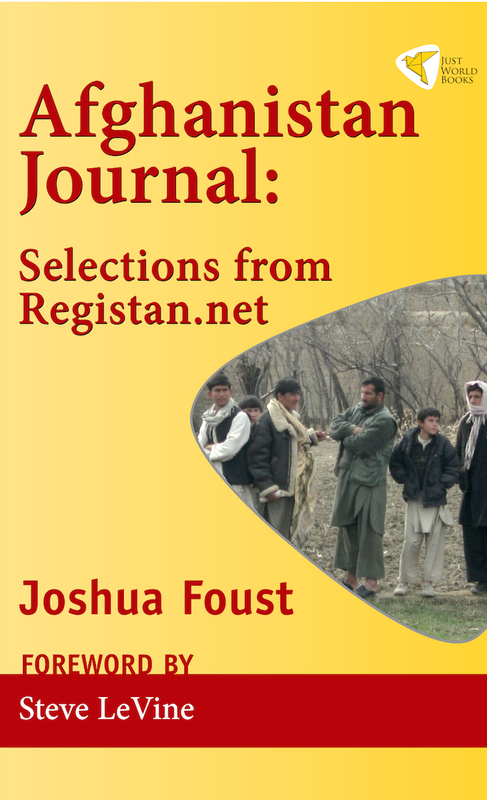 Afghanistan Journal is Foust’s first book. It’s a collection of his writings– mainly those he blogged at Registan.net– that starts from the observations he blogged during the visit he made to Afghanistan, January-March 2009. It then looks in more detail at the situation within some of Afghanistan’s key provinces, including Helmand, Nuristan, Kunar, and Kapisa. In the final part of the book, he looks at some of the broader policy issues involved– and at the ways Americans discuss (and on many occasions, mis-discuss) them. What Role Do Civilian Casualties Play? 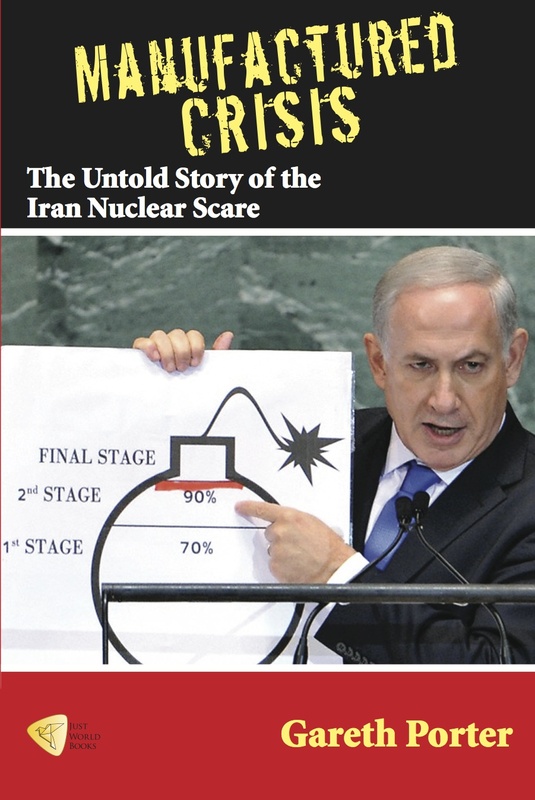 Did the U.S. Have Advance Warning of the Attack on the Wanat Firebase? Nuristan Violence Part of a Years-Long Campaign? How Do You Do the “Build” Part of COIN in a Crashed Economy? Are Terror Groups Faked? Does the IJU Even Exist? Spilling Over in Central Asia? Do They Mean Anything? Should We Care? How Do You Stop the Poppies? Can We Please Stop Trying to Turn Afghanistan into Columbia? What is Going on in the Poppy Fields of Afghanistan? After nine years of war in Afghanistan, the United States seems no closer to the proverbial light at end of the tunnel; and in Afghanistan Journal Joshua Foust vividly explains why. With the lacerating and intellectually honest tone that has long characterized Foust’s writing, Afghanistan Journal brings together four years of online dispatches that chart—in often stark terms—the many blunders that have characterized the U.S. war in Afghanistan. It doesn’t always make for easy reading, but if one wants to understand why the United States military is losing the war in Afghanistan, Afghanistan Journal might just be the best place to start. Afghanistan Journal charts Foust’s exploration of America’s war in Afghanistan and his efforts to bring greater understanding and empathy to how Afghans experience their surroundings in a time of war. Foust’s unflinching willingness to highlight the paucity of understanding of Afghanistan in much of the contemporary discourse and to confront punditry passing for analysis makes this work important reading for those interested in better understanding the conflict. 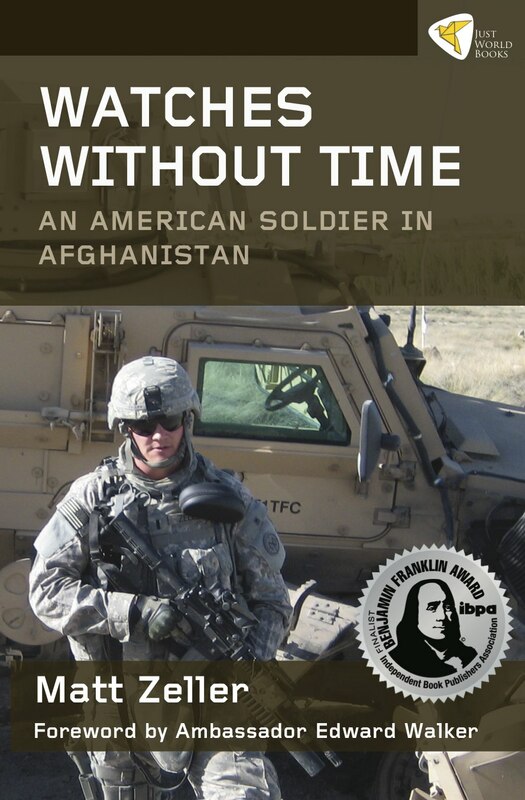 Joshua’s writing is remarkable . . . . His critical and analytical thinking skills really help readers gain a better understanding of the U.S. military engagement in Afghanistan. 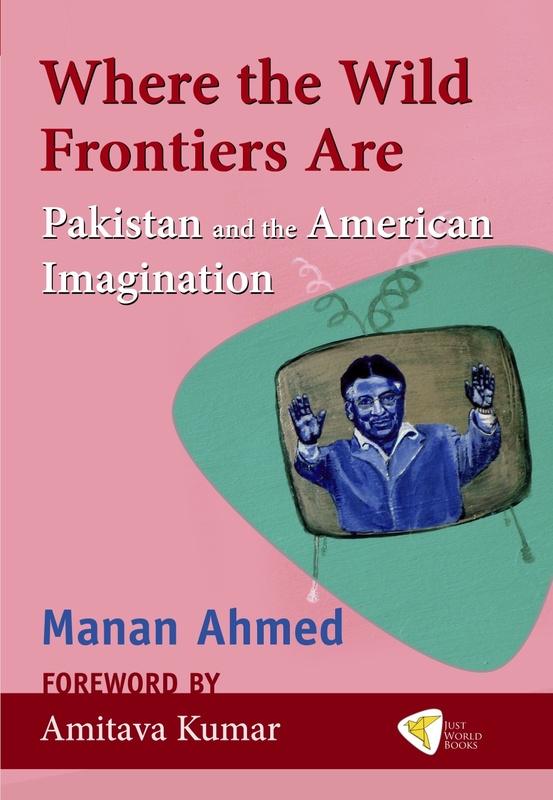 Based on his experience on the ground, working as an adviser to the U.S. Army, and on the passion with which he has sought to learn about the Afghan people and their culture, he presents a way of thinking about the country very different from the way it has been portrayed (or too frequently, neglected) by the mainstream media over the past few years. Joshua Foust’s memoir/blog is a fascinating first-hand report from the extraordinary SNAFU that is the US and allied campaign in Afghanistan. It is deeply depressing, but indispensable for an understanding not just of US efforts in Afghanistan, but the contemporary US military in general. Joshua Foust’s collection of dispatches from Afghanistan gives a unique perspective by weaving together on-the-ground observations of the U.S.’s military engagement with his deep understanding of the politics, culture, and history of the region. Through his dispatches, he chronicles how the broad American mission in Afghanistan has largely failed because of the military’s inability to adapt so that its strategies run counter to its goals. Through his travels, Foust highlights stories of personal engagement with Afghans which illustrate that often small, simple solutions work better than large, complex approaches. His chatty and casual style makes this collection of writings accessible and easy to understand and his personal thoughts and reactions are a much-appreciated inclusion. Whether the reader – military or civilian — has spent years on the “Afghan beat” or simply has a passing interest in the subject, Joshua Foust’s Afghanistan Journal: Selections from Registan.net will provide a wealth of insight into a country, and people, that have often been discussed only as a series of stereotypes. Foust has taken a vast and complex subject and broken it down in a way that leads to greater understanding.